These scoreboard protective cages are a great investment! 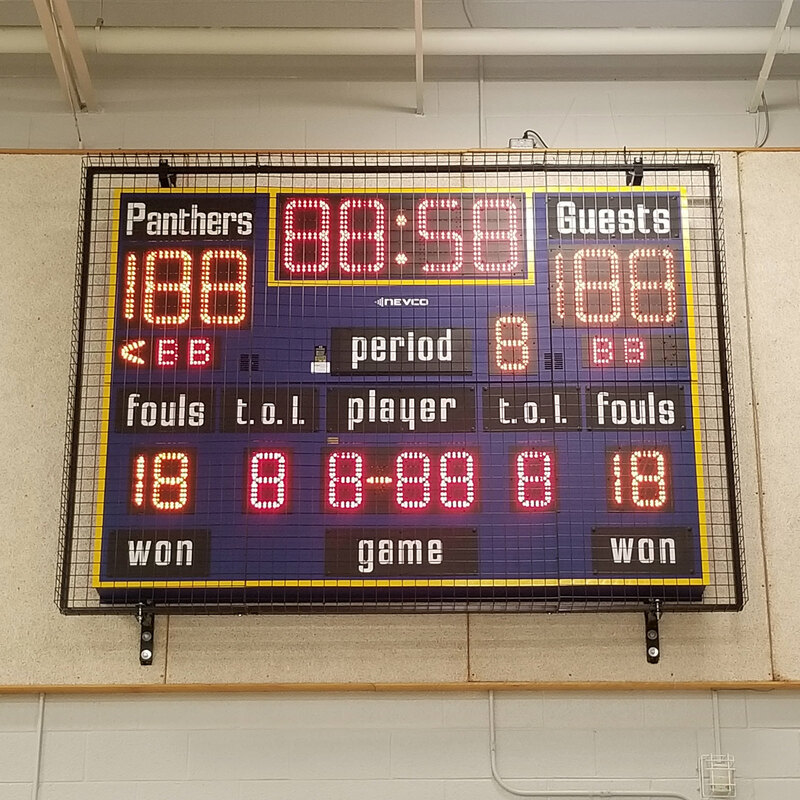 Designed and manufactured in Ontario for use with Nevco equipment, our custom metal mesh cage design allows for uninterrupted viewing of the scoreboard while protecting your investment. 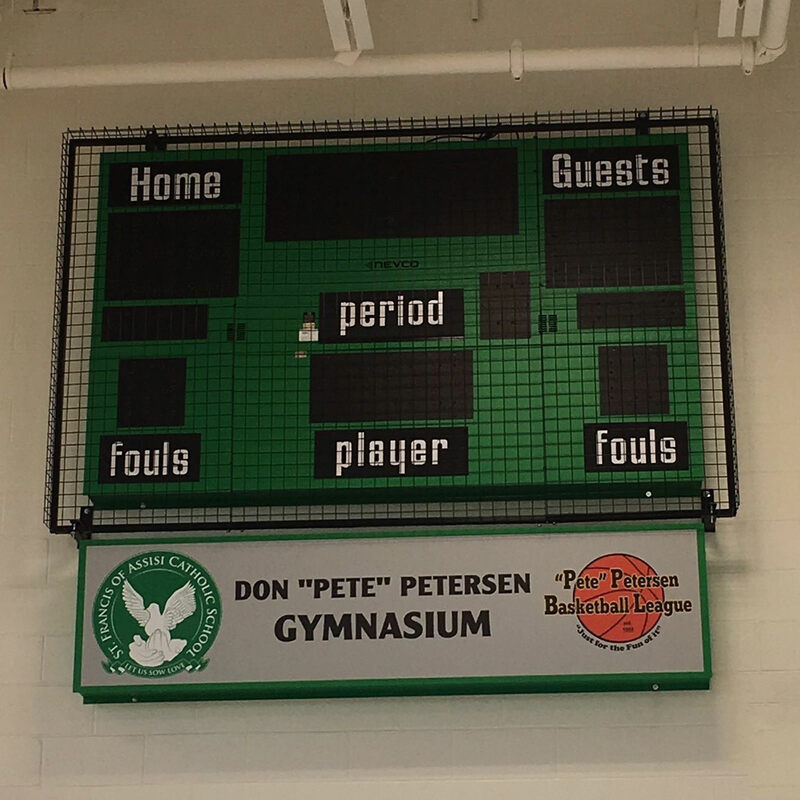 Indoor and outdoor scoreboards and message centres can be protected from stray balls, pucks, other inerrant objects and vandalism. All of our metal mesh protective cages are powder coated in a semi-gloss black for a clean finish that will last for years. 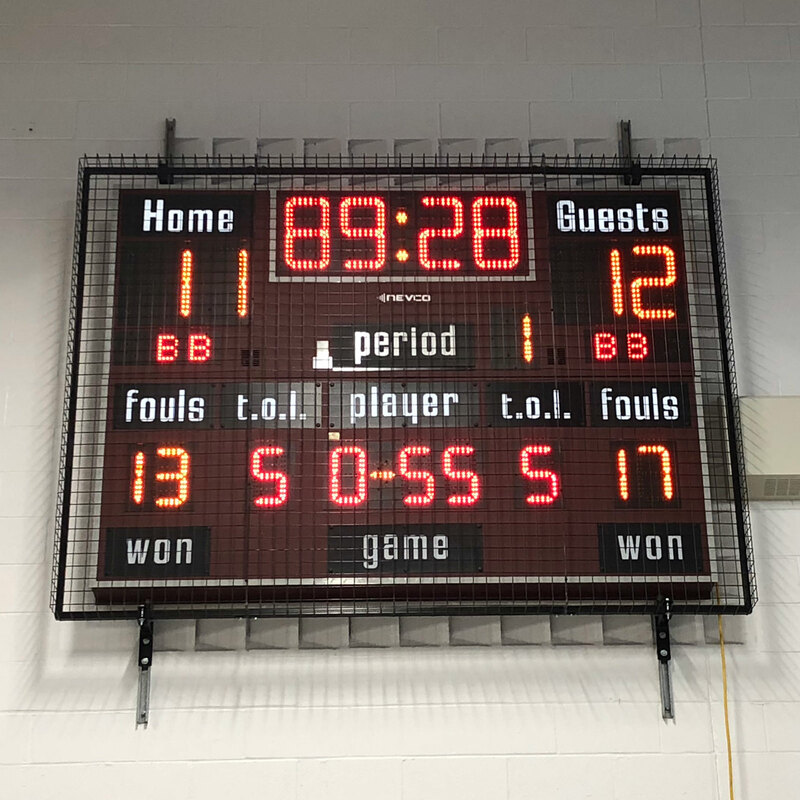 The Scoreboard Man also offers custom cages in varying sizes for other scoreboard brands or other types of equipment. Excellent for indoor and outdoor scoreboards! The Scoreboard Man offers it’s own exclusive custom metal mesh protective cages. 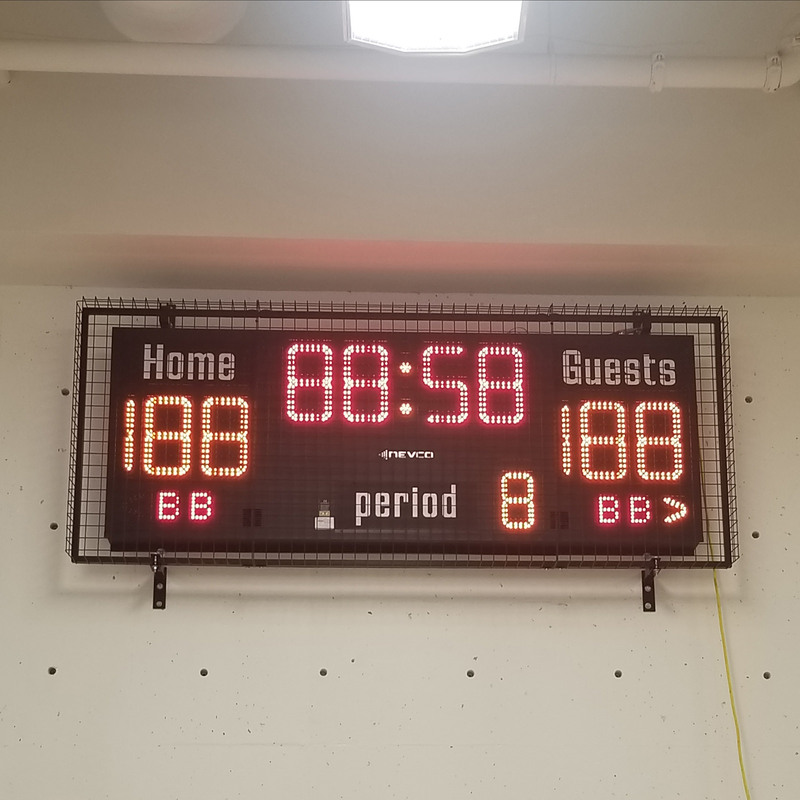 Our custom scoreboard protective cages are a great investment, with a wrap around design that protects your scoreboards from all sides and angles.